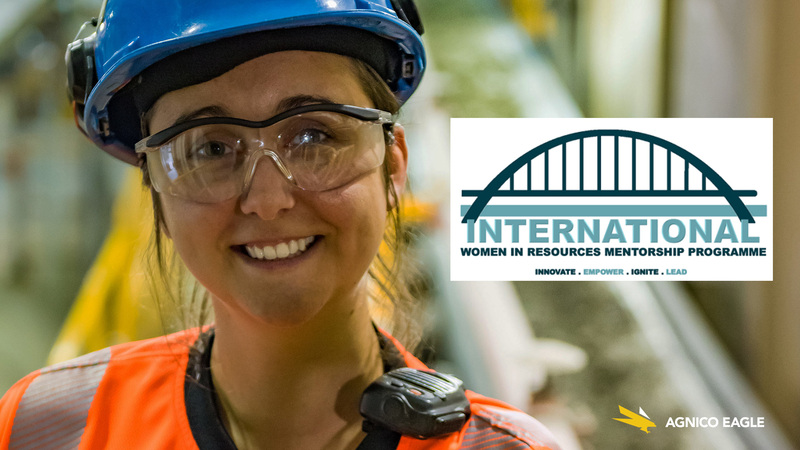 The International Women in Resources Mentorship Program (IWRMP), a collaboration between International Women in Mining, Women in Mining Canada and Metisphere, is a program designed to connect influential senior female leaders from around the world with mentees in a variety of occupations such as mining engineers, metallurgists, truck and heavy equipment operators, exploration geologists and many more. The program was launched at the Prospectors and Developers Association of Canada (PDAC) conference in Toronto in March 2018, where an inaugural group of 42 women including our very own Veronique Tremblay, a metallurgist at our LaRonde complex, were inducted into the 6-month program. We spoke to Veronique at roughly the half way point of the program to find out about her experiences and what it’s been like working with her mentor Marnie Finlayson, Head of Global Footprint at Rio Tinto in Perth, Australia. AEM: When did you first hear about the program? 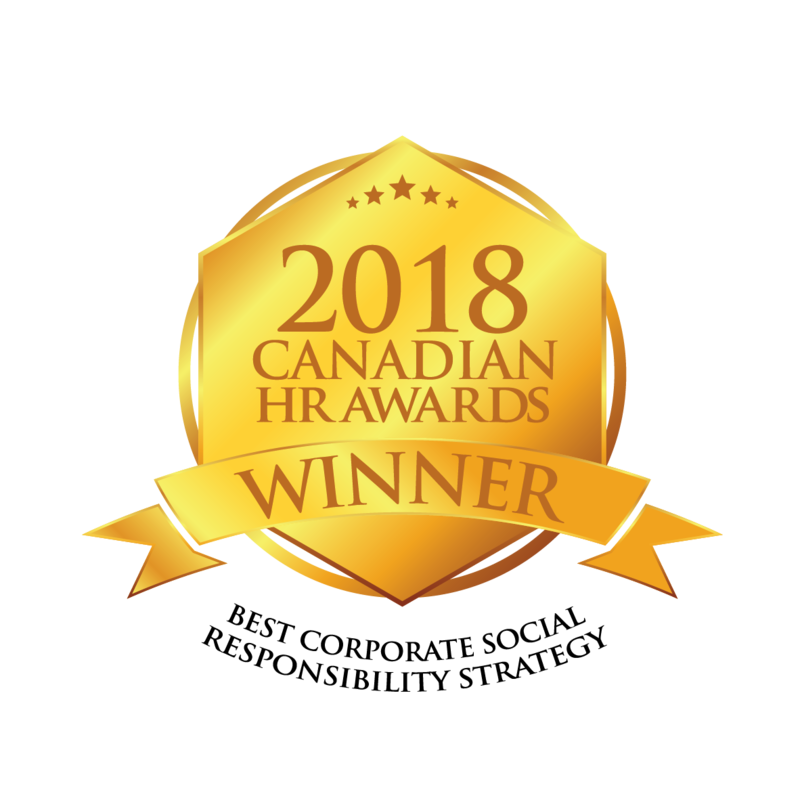 Veronique: My boss Claude Bolduc approached me as a potential candidate for the program in coordination with our local Human Resources department. When I heard it was a mentorship program and I would be paired with a leading woman in my industry, I jumped at the chance. It is not often you get that opportunity! AEM: Tell us about the process involved in joining the program. Veronique: The organizing committee does a lot of work to ensure the best mentorship match for you which means that there are a lot of questions to answer in the sign-up process. The questions required a lot of thought – what is my inspiration in life, where do I see myself in 10 years and so on. I was delighted when a week later I was accepted into the program and could start to prepare for the launch in Toronto. AEM: What were your main reasons for signing up? Veronique: It was the mentorship side which really appealed to me most, I felt it would be worthwhile to have someone who was not involved in Agnico Eagle and therefore unbiased to give me help and advice on my current work and building my career. The fact that this program is specifically for women is great too as I don’t have many women to speak with in my working environment – I work with fantastic people but the fact is that I do work in a predominantly male industry. AEM: What is involved in your specific mentorship program? Veronique: I have a meeting every three weeks with Marnie via Skype; we speak in general about our roles and any points of interest since our previous meeting, but we also have three specific topics that we discuss during each call. The first is what we think would be good to develop in terms of my career, for me I feel it’s about improving my self-confidence, leadership skills, and learning to speak up and share my opinions and thoughts on projects and our operations. Then we talk about my long-term and short-term goals. Marnie gives me great advice on good tools and case studies to research, lectures to read, people to follow on social media for personal development, as well as books to read on leadership and more. Finally, I am given homework to do before our next meeting. This can be something like noting the interactions I have each day and making my observations. We then review what happened and how I reacted or responded, and we discuss how I can improve on or repeat those experiences next time. AEM: How have you enjoyed the experience so far? Veronique: I am really enjoying it – after every session I find that I am very motivated. The timing of the mentorship was perfect as I had a change in my role, so it was great to have someone to give me positive and proactive advice on how to deal with and manage the change to ensure the best outcome for myself. The match itself is perfect, I find Marnie to be a fantastic mentor, we think very similarly, and we are both from mining towns (I am from Val- d’Or) so I find her easy to talk to and full of fantastic knowledge. AEM: How much of your time is committed to participating in the program? Veronique: The program began in March at the PDAC conference in Toronto, this was one full day of training after which we were given the name of our mentor. At the mid-term point we were given five questions from the WIRMP which we needed to answer to assess our progress. This information was collected and distributed amongst all participants so that we can see how everyone is finding the project. We also have four interactive sessions between just the mentees over the full course of the program. This is done via Zoom and we usually talk for an hour about our progress. It’s very interesting to hear from other women around the world to see how it is operating globally and how the other women are finding their experience. AEM: Is there anything you have already learned that you are now using in your current work? Veronique: Yes – specifically my leadership skills. All of the things my mentor has taught me I make sure that I try out or where possible even practice with my team – I try everything! AEM: Has this experience inspired you to do anything differently? Veronique: A lot! Marnie is a very inspiring woman. She encourages me to be the best I can be. She speaks my language and she makes things seem simple and easy. AEM: Would you recommend this program to other women in resources? Veronique: Yes, 100%. I think not just for women but also men, if you can find a mentor who is there to help you and give you good advice, that is always a good thing. AEM: Could you see yourself being a mentor in the future? Veronique: Yes, I would really like to be a mentor – I am finding it so interesting and if I can help some young person at the beginning of their career like I am being helped now it would make me very happy. I would also like to use this opportunity to say thank you to everyone involved in giving me this chance, including Agnico Eagle for asking me to be involved and being a sponsor. I feel very lucky to have access to such a fantastic program and I feel it has helped my career in a very positive way! Agnico Eagle was the first to step up to the plate and commit to a second year of sponsorship for this program. This year we will be Gold Sponsors and will have three mentees participating in the program as well as providing a scholarship for a participant in Namibia. We have also approached some technical mentors from our own experienced Agnico Eagle team to see if they are interested in volunteering their time towards this program. We are excited to see the results from this year and look forward to an even bigger and better 2019 for diversity in mining and resources.